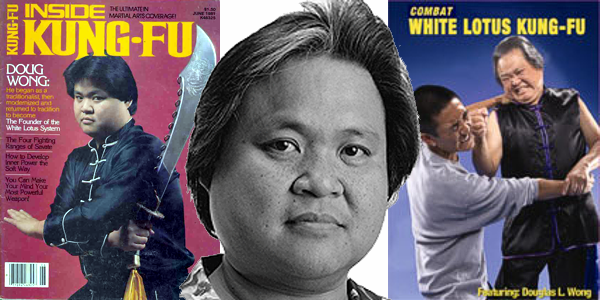 Master Douglas Wong is a teacher, trainer and author and the founder of the modern-day White Lotus system of kung-fu. He was born and raised in Los Angeles, California. 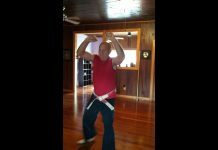 Sifu Doug Wong has traveled throughout the world to teach his art through seminars, training camps, lectures, movies, television, radio talk shows, magazines, newspapers and books. His four books – Kung Fu, The Way of Life, Shaolin Fighting – Theories and Concepts, Kung Fu: The Endless Journey and The Deceptive Hands of Wing Chun – have been martial arts bestsellers for many years. 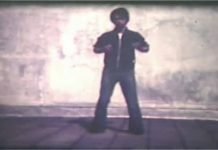 He and his wife also have four popular instructional video tapes – Shaolin Fighting, Theories and Concepts, Chinese Martial Arts Fighting Skills, Chinese In-Fighting and Martial Arts Fundamentals and Self-Defense produced by Unique Videos also the publisher of “Inside Kung Fu, Inside Karate, and Master & Styles” magazines. Master Wong is also a technical advisor for the above-mentioned magazines as well as a contributing writer. Master Douglas Wong is known as a Chinese-American Kung Fu Pioneer, he has taught more than 10,000 students in the past 30 years and was the first instructor in the United States to do away with traditional forms and create top-ten-caliber forms specifically for competition. The White Lotus System produced many top ten competitors and national champions include James Lew and Albert Leong (both of whom have established successful film careers since retiring from competition), Carrie Ogawa-Wong (Doug’s wife), Kenny Perez and National Junior Chinese Martial Arts Champion, Travis Todd Wong (his son). 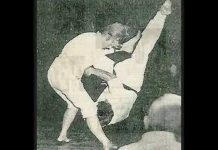 Many of his students are in the entertainment business as actors, actresses, stuntmen, fight choreographers and body guards. Master Doug Wong was inducted into the International Martial Arts Hall of Fame in September 1997 and honored in September 1998 as “System Founder” [White Lotus System was developed by Master Wong in 1976]. Master Douglas Wong’s last few projects include training Jason Scott Lee for Dragon, The Bruce Lee Story (1992), Kevin Sorbo for Hercules the Legendary Journey (1993), and Lucy Lawless the star of Xena: Warrior Princess (1995). In September of 1994 members of the White Lotus Team traveled nationwide doing the Power Rangers Promotional Tour for Saban Industries and in October doing work for the VR Troopers. During the month of November, three members were seen nationwide on a Mc Donald commercial playing the Blue, Yellow and White Rangers. Master Douglas Wong recently trained Ian Bohen and Johna Stewart the stars of a new video movie “Young Hercules” released in early 1997. Along with his wife Carrie, they trained Allison Smith and Linden Ashby for a new action packed television series “Spy Game” released on ABC in January 1997. In May 1998, Master Wong and Carrie trained Ryan Gosling the star of a new series “Young Hercules” airing on Fox Kids’ network in September of 1998. In July of 1998 Grandmaster Wong was honored as one of Hollywood’s top martial arts consultants and trainers from Wesley Snipes. In July of 1999 Master Wong trained Gina Torres for new television serie to be release in the fall of 1999. Douglas Wong was featured in a 9-page color spread in “Inside Karate” (February 1997) as the man behind Hercules (Kevin Sorbo) and “Xena” (Lucy Lawless). He was featured in the August 1998 issue of “Inside Kung Fu” magazine. 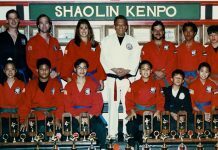 His son Travis, will be feature in an upcoming issue of “Inside Kung Fu Magazine” to be release in August 1999. This is Master Wong’s twenty ninth (29th) year in the movie industry. His career started in 1970 working an the original ABC Movie of the Week, “Kung Fu” starring David Carradine. 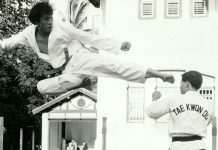 He has been involved in the martial arts for the past forty (40) years. Douglas Wong has trained under many top instructors from a variety of kung-fu systems. 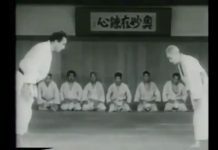 Among them is Grandmaster Ark Yuey Wong of the Five Animals (Ng Ying Ga) and the Five Families (Ng Ga Kin) styles; Grandmaster Share K. Lew of the Tao Tan Pai system; Grandmaster Doo Wai of the White Tiger system (Bak Fu Pai); Master Hsu Hong Chi of the God-Dragon Hsing Yi system; Master Haumea “Tiny” Lefiti of the Mok Gar system; Sifu Walter Wong of the Wing Chun system; and acupressure massage, philosophy and acupuncture under Dr. Andrew Ming. Douglas Wong training courses include such subjects as meditation, philosophy, weaponry, acupressure massage, weight training, full-contact fighting, Iron Palm and Body training, Chinese History, Custom and Tradition, Lion Dancing, Chinese cooking and other related topics.